*When you purchase the All American Grilling Pack, $10.00 of the proceeds will go directly to the Leukemia & Lymphoma Society. We are a small, single source, family run, premium beef producer located north of Holdrege, Nebraska. 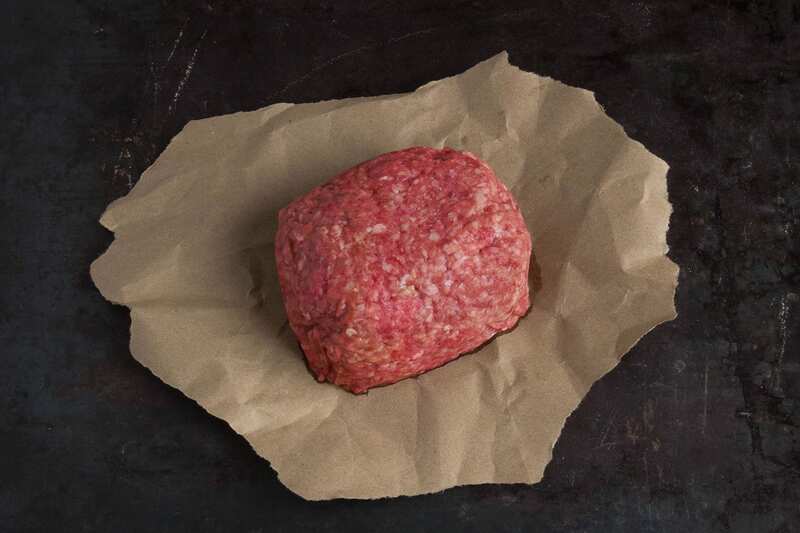 Our beef is raised, aged, and butchered the traditional way, each steak is hand cut and trimmed – one at a time. Our focus is simple and narrow: Produce the absolute highest quality humanely raised, antibiotic free, hormone free beef available. We do not sell side dishes or other types of meat. If you are looking for the best frozen beef on the internet, you just found it. If you would like to know why, click here. Our story begins in Nebraska shortly after Nebraska became a state in 1867. Like many families, we stopped our trip short in the fertile Platte Valley and put down roots. Raising cattle has always been our first love but we are no stranger to raising corn, beans and winter wheat to keep our cattle fed. Over the years we’ve weathered storms that both mother nature and the stock market have sent our way. We are Nebraska Cattlemen and we are damn proud of what we do and have built. When you buy steaks from us you’re also buying a piece of our heritage and history that is as old as the home of premium beef, Nebraska. "I order the Holiday Gift Packages from Nebraska Star Beef every year for Christmas Gifts. I continue to order these, every year, due to the positive feedback involving the quality of the items being received. I’ve been purchasing all my beef from Nebraska Star Beef for several years now. They offer some of the best steaks, burgers, and seasonings on the market. You won’t regret purchasing from this wonderful family!" "At 'Charred' we always have had a great relationship with Nebraska Star Beef. Not only does the product speak for itself, but the customer service is impeccable. I can always depend on them if I’m ever in a pinch." "I started using Nebraska Star Beef products as closing gifts in our real estate business this summer. I can say without exception, that their product quality far exceeds the "big city" steak company, in every category. Want to show your appreciation to a client? Send them a steak package or a prime rib this afternoon. I can guarantee that you will receive a favorable response and a place in their heart for future business. Nebraska Star Beef is a family owned business, just like mine. They understand the importance of customer service and providing a top notch product. "I can’t tell you how much my family & friends enjoyed the steaks & burgers that I ordered from Nebraska Star Beef. My greatest joy was watching their reaction after they take the first bite and go into total ecstasy as they have never tasted anything so delicious! It’s sad to know that so much of our population have never experience really premium quality beef such as you produce. Giving them the opportunity to experience optimum cuisine developed under the highest standards was truly a life altering experience they can never forget. Now I am plagued with the constant question; “When is the next barbecue coming?” You’ve made me a hero in the family and I want to extend my gratitude by sending you a tourist guide from Huntington Beach. It’s beautiful here but it comes with such a price, both monetary & emotionally. I looked up Holdrege (Nebraska) online & well, you might as well call it “Mayberry”. It is an idyllic midwestern community with no crime or big city problems. I’m sure the people there go to church on Sunday and enjoy a wonderful relationship with each other. I’m really jealous but it’s comforting to know that such a place exists where love of country & pride in your community, decent values, & religious beliefs are still in high regard." "This is an amazing company with a spectacular product run by wonderful people. I grew up in Kansas and developed a taste for quality grain-fed beef. Since moving to San Diego 18 years ago, I have had a hard time getting beef of the quality I learned to love. Solution to my problem: Nebraska Star Beef. We ordered several different types of custom cuts: Beef Chuck Flap Tail, and Beef Ox-tail as well as rib eye and filet mignon steaks. The order arrived still flash frozen in a specialty packing box which kept everything cold even during a record hot summer in the Midwest as well as San Diego. The meat quality and flavor was amazing. Steaks were exactly the taste and quality that I would get in a high end steak house such as Ruth Chris, Mortons, Donovan’s. The fact that I could have them in my house, slow thaw them, and cook them exactly the way I want, and have the meat be the quality Nebraska Star provides is truly the best of all worlds. We used the Beef Chuck Flap for Korean Bulgogi with incredible results. The Chuck flap was also very good seared without marinade. The perfectly marbled meat melted in our mouths. The quality and sincerity of the customer service at Nebraska Star Beef is what truly sets this company in a special class of it’s own. From my first contact by phone and e-mail, every employee was in the Four Seasons Hotel level of customer service. I initially called specifically for my special custom cut orders. Their level of patience, willingness to help educate the customer and their willingness to tailor the order to exactly what the customer was asking for was amazing. When the representative did not know the exact answer to a very detailed question, she let me know that she did not know, but immediately referred me to the specialist who did. (In this crazy day and age, many companies will say anything just to get a sale, not Nebraska Star Beef. Honest, Resourceful, and Accountable.) Their follow-up after our first order was above and beyond the usual, “everything OK, great!” Steve was truly, personally interested in our satisfaction. We made a few specific requests for improving on the already great custom order, he accommodated or finicky requests and hit a grand-slam home run on the next order. Nebraska Star Beef and its employees reflect well on the state and our country and make me proud to be an American." "Finest American beef I've tasted. I'd put it up there with Irish beef. 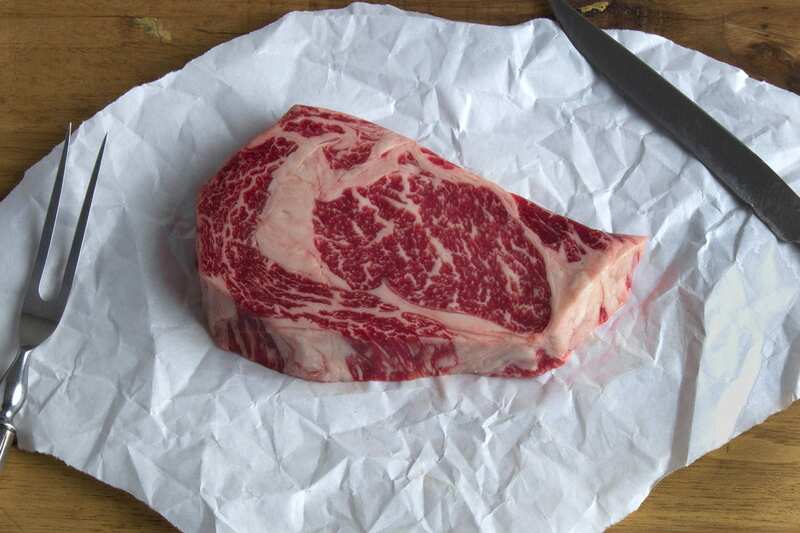 It is nicely marbled, has good texture and the flavor was ... well beef ... all beef. Not as beefy as an older beef, but, very good. It was shipped to Alaska and arrived frozen. Addendum: I should add that I eat my steaks "cold" in the center, Black and blue if you will. I've now gone through three orders (30 ribeyes), shared a couple with friends, and cannot report any negatives. They've all been nicely aged, tender (not overly so, not a fan of Kobe style, soft steaks), and flavorful. New Year's dinner for the kids will be one of their standing rib roasts." "The best ground beef I have found." These steaks are perfect for even the most discriminating epicurean steak aficionados. "Excellent!! These steaks are tender and flavorful. Aged to perfection, Nebraska Star Beef steaks remind one of the steaks served in Five Star steakhouses. The burgers are juicy, my family enjoys them served for dinner smothered in onions and fresh mushrooms or served plain with mashed potatoes. Their shipping is state of the art, my meat always arrives frozen solid. Cannot brag enough about Nebraska Star Beef, it is far superior to another brand from that state sold commercially. These steaks are perfect for even the most discriminating epicurean steak aficionados. "I am 59 years old, travel a lot, and love good beef! I have eaten high-quality beef in the fanciest, most-expensive restaurants in the U.S. I also raise my own beef, and put a steer in the freezer every year, but this Nebraska Star Beef is the best I have ever eaten, anywhere. Very tender and juicy, and being antibiotic and hormone free, you can feed it to your family without worry. I have sent their gift packages to friends around the U.S., and it has always been well-received. I enjoy eating the beef from my Longhorns, but when I want something really special, I reach into the freezer for a Nebraska Star Beef sirloin steak." "I loved this steak! I will buy it again." Don't try any other competitors meat. "I tried Nebraska beef first then I tried competitor beef what a mistake that was. First the meat was thawed they were nice enough to send a frozen replacement. Even then the meat was ok just not great. However Nebraska meat was excellent. I'm never ordering from the O again. Staying with Nebraska." "BEST BEEF EVER. 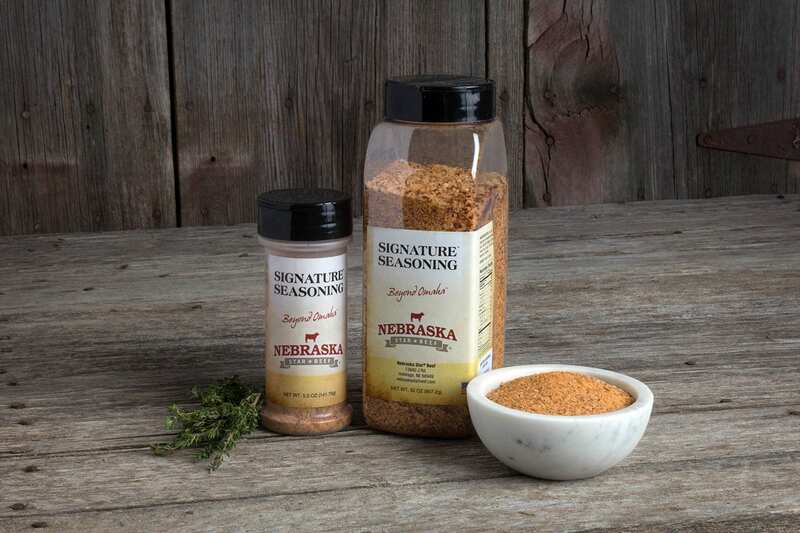 Not only do Donna and I send NEBRASKA Star beef as gifts, we use it exclusively in our kitchen." "We ate the steaks on Christmas and my kids said it was the best meat they’ve ever tasted. Wow, they were SOOOO good!" Give us a call now with any questions or concerns you may have.